When I was a kid, my grandmother lived on a ranch in Thrall, Texas, about 40 miles northeast of Austin, and the best part about it was the stockpile of Blue Bell ice cream she kept in the bunkhouse freezer. She’d send me out before dinner, when the sky was streaked with pink and the cows were shuffling restlessly in their pens, and I’d inspect each frosty tub before deciding. She preferred vanilla, but coffee ice cream was my jam, and she was more than happy to indulge this budding little java junkie. Grandmas are great for that kind of thing – letting kids be kids, not sweating the small stuff, and doing things the old school way just because they can. Sounds pretty great, and I can see why people look forward to it even more than having kids. And why missing out on all that fun would be devastating. 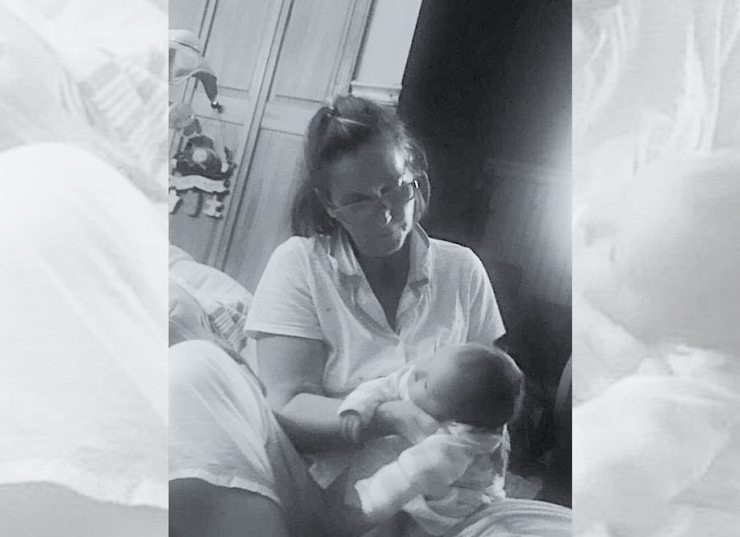 This is Madeline and her brand new grandson Joseph. See the way she’s holding him like she’s about to snap his wee baby neck? It’s a surprisingly effective, old school way to elicit a massive burp from a milk-drunk lil nugget, but it’s kind of terrifying to watch. 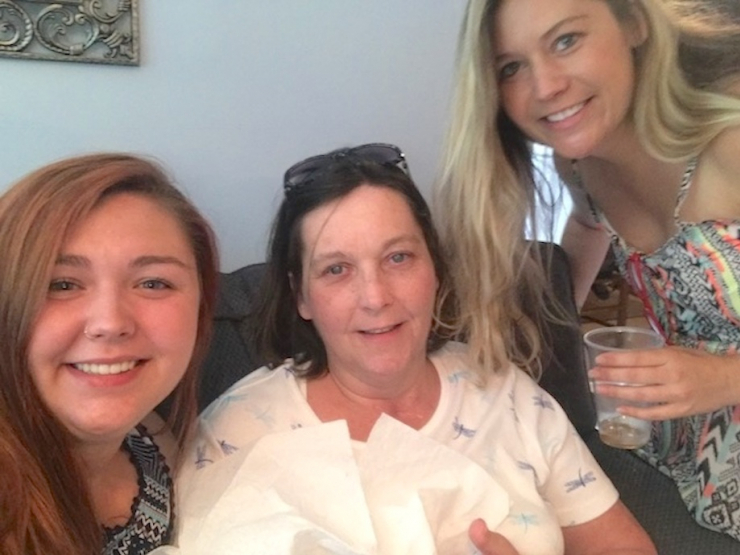 It’s totally a grandma thing; it was Madeline’s thing, the first of many ways she planned to add color to her grandchildren’s lives. But two years ago, on a hot summer day in 2016, Madeline’s future as the doting grandma was suddenly very uncertain. By pure coincidence, she had attended a training class on caring for her own mother that same day, and when she returned home that afternoon, she went for a dip in the family pool to cool off. She remembers feeling “off” during her swim, so she cut it short and went inside. Things escalated quickly from there. 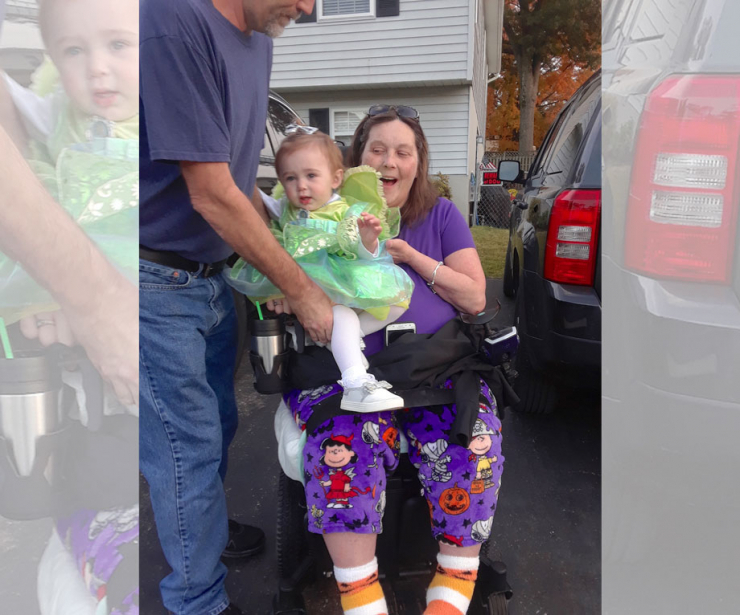 Transverse myelitis (TM) is a rare inflammatory disease affecting the spinal cord, and it’s the same condition Chive Charities recipient Melissa Smith was diagnosed with in 2012. It causes muscle weakness and sensory alterations, and affects involuntary activities like heart function, breathing, and digestion. 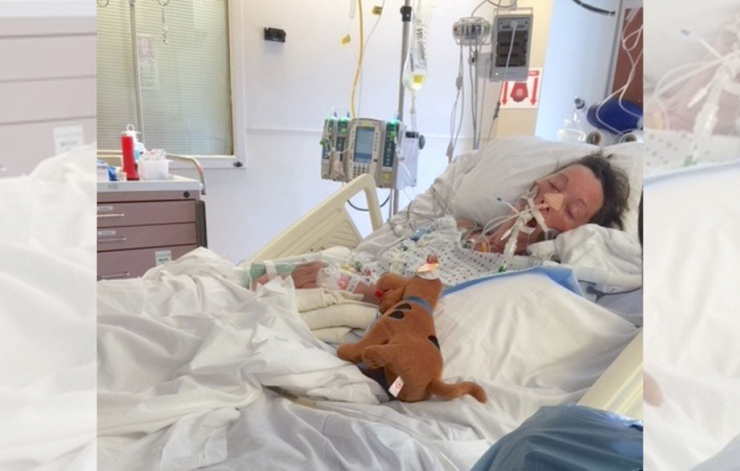 In some cases, like Melissa’s, TM is acquired after a trauma or illness, but Madeline’s doctors couldn’t figure out why the otherwise healthy 51-year-old was suddenly unable to move, breathe, or eat on her own. 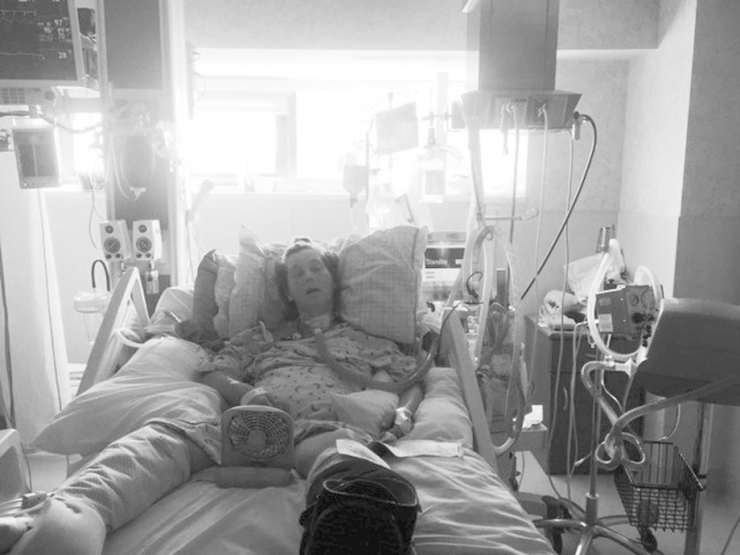 Madeline spent eight weeks in the ICU, four weeks in in-patient therapy, and three months in subacute rehabilitation. 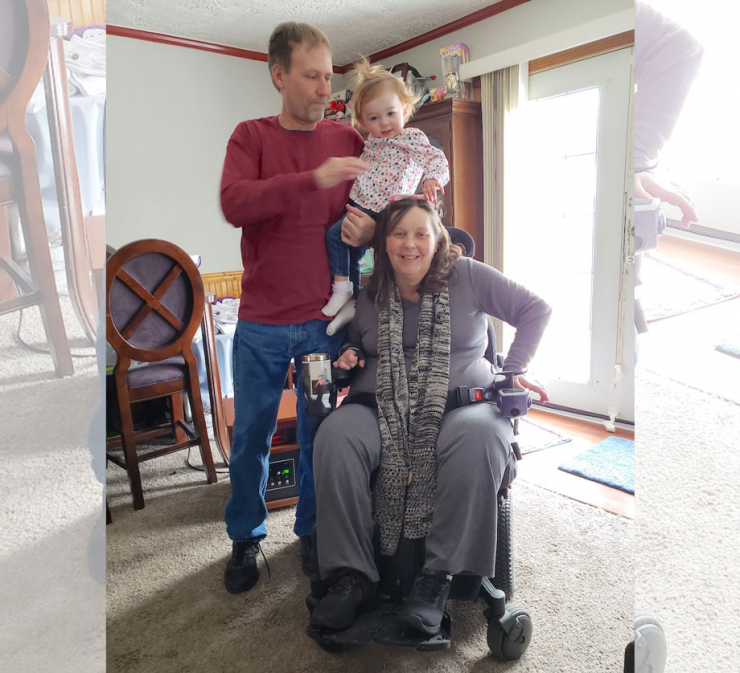 When she was finally released, she was still too weak to move her arms and legs on her own, and to this day, she relies on her family for even her most basic care. “My mom is confined to a wheelchair and a hospital bed. 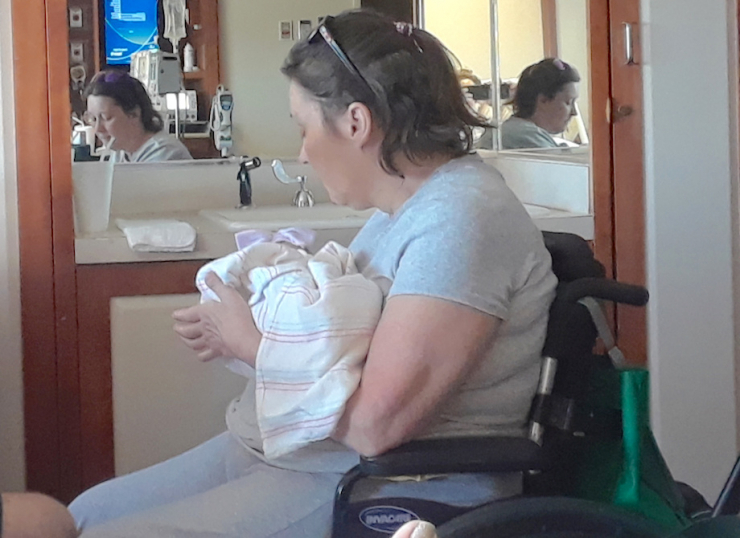 She depends on my father, myself, and siblings for just about everything, including bathing, dressing, set-up for meals, incontinence care, etc. 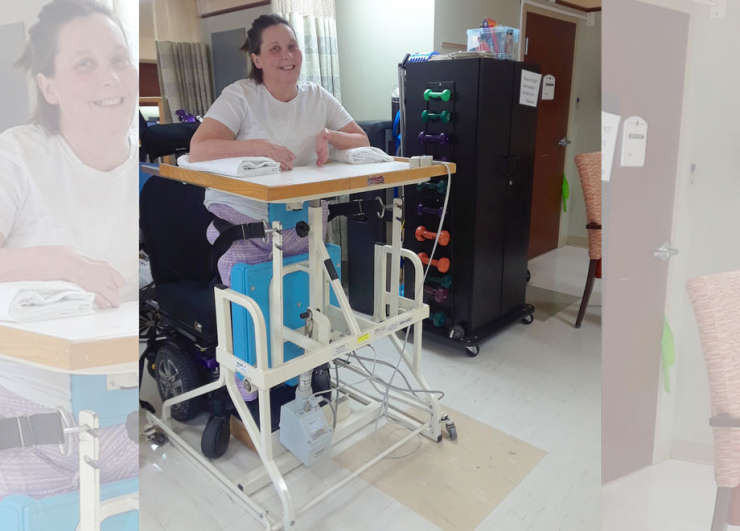 She’s in outpatient therapy at Johns Hopkins Kennedy Krieger and has been making gains slowly but surely, but she’s nowhere near her old self,” Meaghan explained. 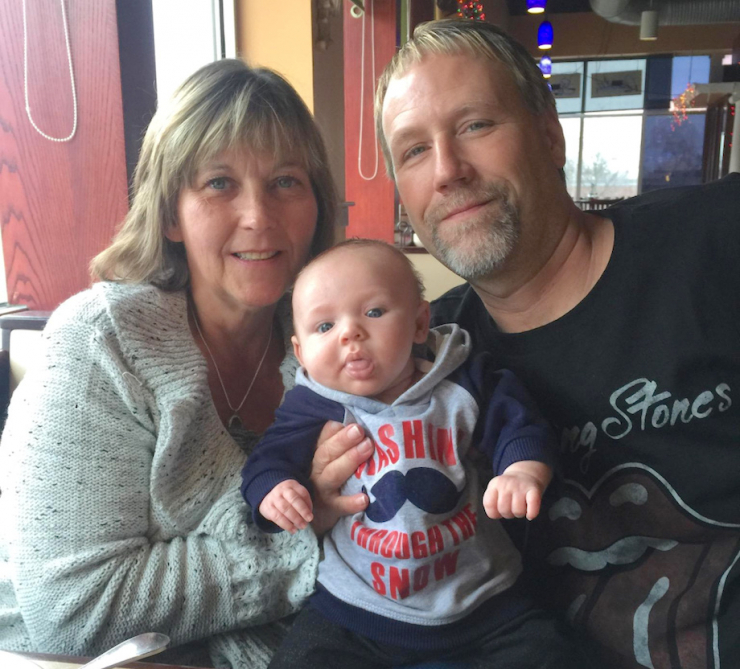 Little Joseph was just a year old when Madeline got sick, and since then, her family has welcomed another little grandchild to the mix, Anna, who’s now a year old herself. Her grandkids are the absolute light of her life, and even though she can’t pick them up to play or go for walks in the park like she imagined, Madeline wants desperately to be a big part of their lives. Despite her brave smile, life has been tough. Wait a minute. Nowhere fun in two years? No movies or out to eat or baseball games? I checked through the pictures they submitted with her grant application, hoping to learn more about her life before her diagnosis. Guess what I found? Grandbabies. Lots and lots of grandbabies. Man, she loves those little ones. 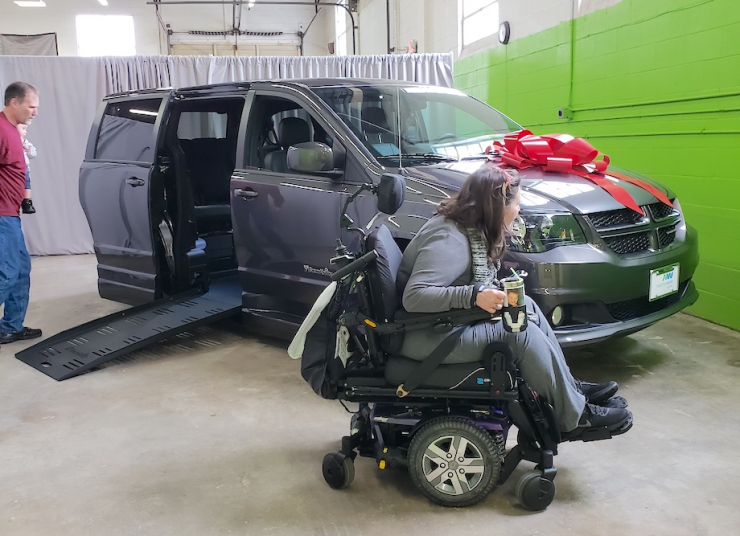 We spoke with Meaghan and her family last week, after we told them the good news that Chive Charities was giving them a brand new BraunAbility wheelchair-accessible van. We wanted to know what they were looking forward to most when they finally had the freedom to get out of the house. Madeline didn’t miss a beat. “I want to take the grandkids to Disney,” she said excitedly. “Even just to the park. And go to their school plays when they’re older, and Grandparents’ Day, and Anna’s recitals if she takes dance like Meaghan,” she trailed off. I looked over at Kelly and we smiled so big. Madeline was getting back in the swing of things, and we couldn’t wait for today. 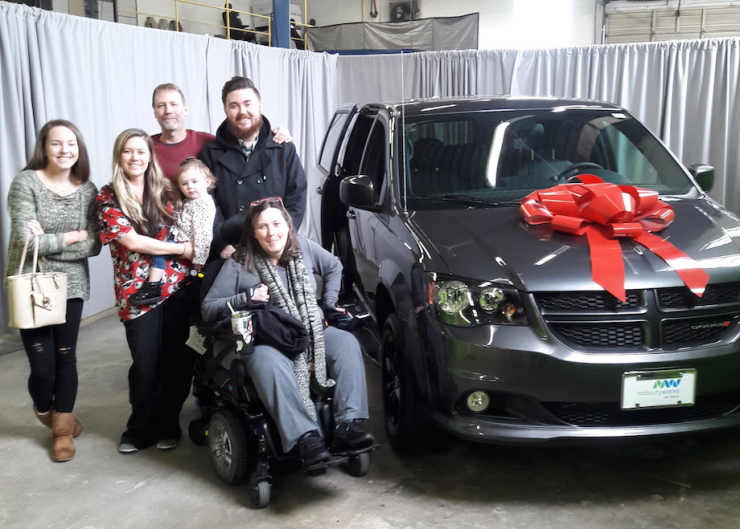 I wish I could tell you Madeline and her family went right out and checked so many things off their list, but TM is a cruel disease, and the excitement of picking up the van wore Madeline clear out. It’s O.K., they have all kinds of time to soak up everything the world has to offer, and we’ll update you soon with their many adventures in grandparenting. I know I already showed you this picture, but I’ve just got to say…we need more of this in the world. Happy, healthy families loving each other like crazy and enjoying life to the best of their ability. And when their ability isn’t quite what they need to make that happen, Chive Charities is proud to step up and lend a hand. You can help us support families in need by becoming a Chive Charities monthly donor RIGHT HERE.